Specially formulated to help keep the skin supple and soft whilst helping to reduce the appearance of dryness. Enriched with Organic Pumpkin that is rich in Omega-3 & 6 essential fatty acids. Gently remove impurities, dead skin cells and make up. Leaves the skin feeling, and looking, nourished and refreshed. Contains Organic Rosemary with skin enhancing qualities. 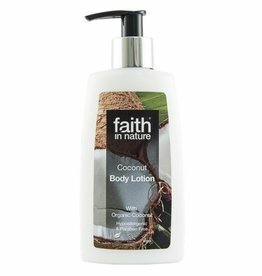 With an amazing tropical aroma, our body lotion is specially formulated to help keep your skin soft and supple, whilst helping to reduce dryness. Made with organic coconut to enrich your senses. Gently removes dead cells whilst polishing the newly exposed skin’s surface. Contains Blackcurrant exfoliants and Organic Calendula, with restorative and soothing properties.